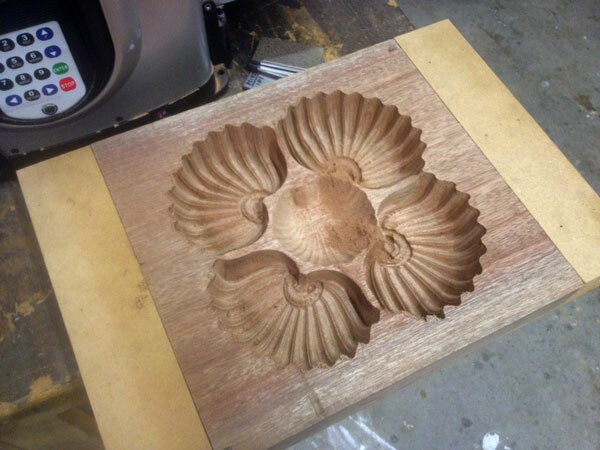 The latest bit offerings from CarveWright allow for carving 2.125″ deep! 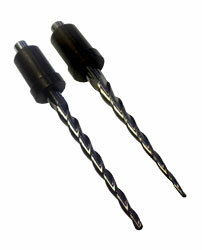 They are the 1/16″ Long Carving Bit and the 1/8″ Long Carving Bit shown to the right. I’ve been working with these bits for the last few weeks on a variety of projects to see what I could do with them. Once I got started designing with these in mind the possibilities really started to open up. Below we’ll look at some of the projects we’ve made with these bits. To use these bits, the first thing you will need is the latest version of Project Designer 2. 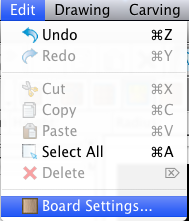 After starting a new project, choose Board Settings under the Edit menu at the top. In this window you will see where you can define the board settings and along the top find the tab labeled pattern bit. Select the desired long bit and you are ready to go carve up to 2.125″ deep. There are some cautionary notes for using these longs bits that you should always be aware of. Tighten the bit as much as possible in the CarveTight Spindle to ensure the excess forces of carving deep don’t pull it out. When carving deep on hard woods it is advised to use quality settings Best or Optimal. 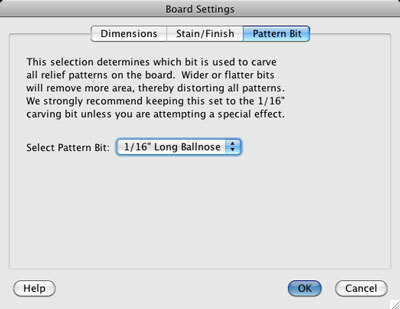 Be sure to be accurate of your board thickness settings in Designer when using this bit. Drastic differences in depth from the project board to the real board can result in damage to your bit and/or machine. Follow these rules and enjoy your deep carving! Now lets look at some projects I’ve made with these new bits. There is an ongoing Victorian library project that my brother and I have been working on for a few years now. One of the pieces of this library that has just been completed was the ceiling. The ceiling is completely paneled, with some large vaulted areas where the lights are centered. In these large areas we had placed blocks in the corners with the idea we would carve some sort of finial or something when we got to that point. The scale of these blocks was going to require a deeper carved element than we could do with the regular carving bit, so we thought this would be perfect for trying out these new bits. 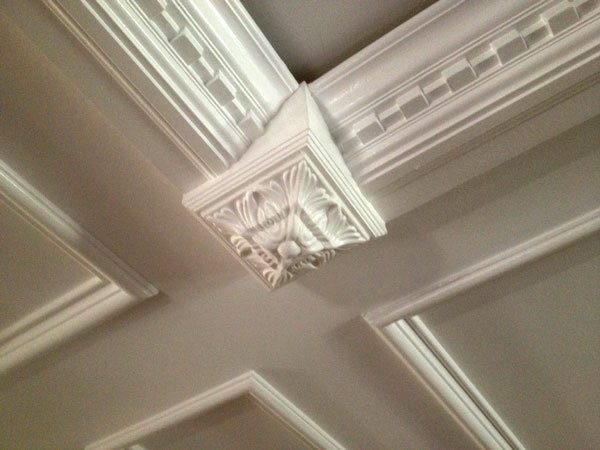 We designed the project using the Square Rosette VA3D pattern from the Pattern Depot and set it to be 1 1/2″ deep. 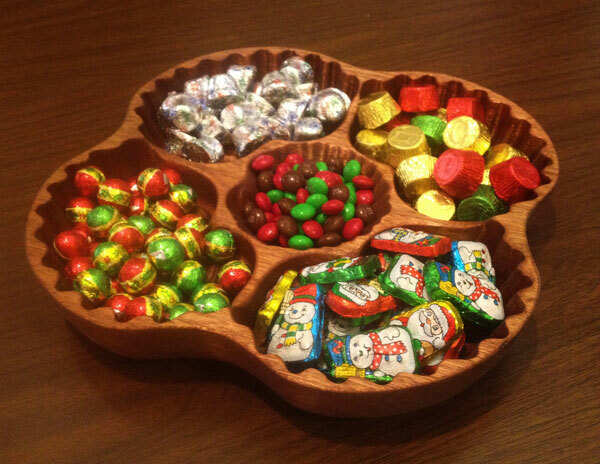 Since I would be painting these, I used 2″x6″ construction grade pine from the local HomeDepot and they carved perfect using the 1/8″ long carving bit. I needed 4 per ceiling section which ended up being 16 total. Once carved, I sanded with a 180 grit sanding mop, primed, sanded some more and then painted them. 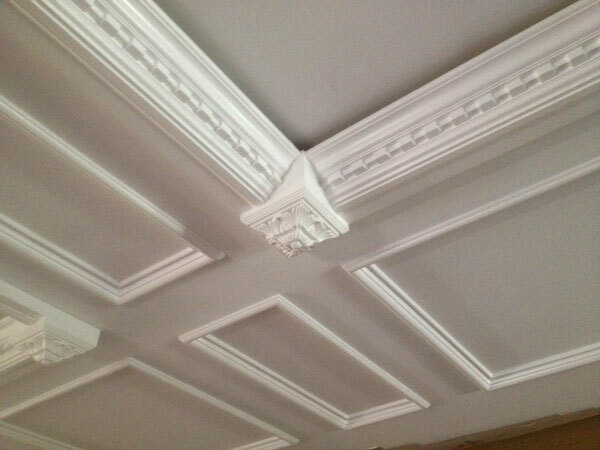 Once finished, they were glued in place on the ceiling and looked great. It made a big difference in the overall appearance. 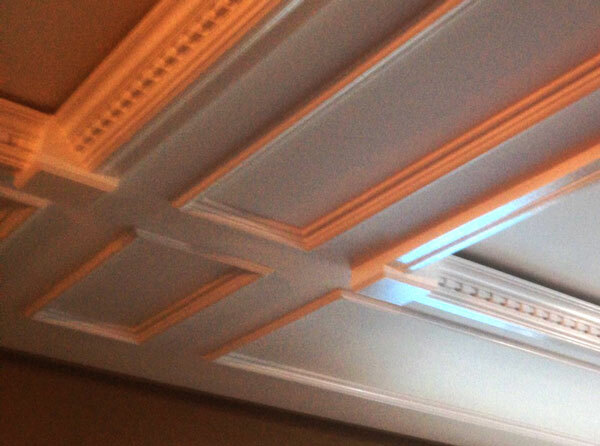 The next part of that ceiling project is making some corner round trim pieces to match the store bought trim. 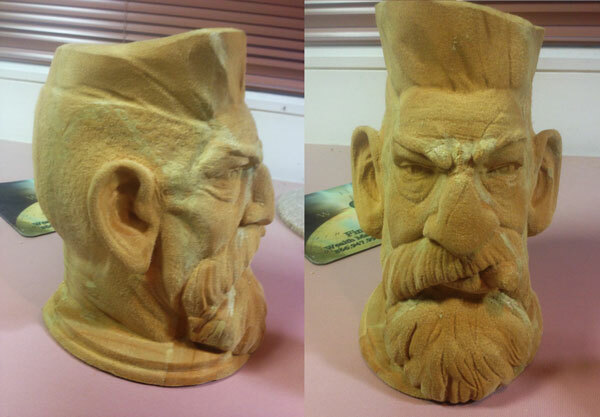 This would only be possible with 1.5″ deep carving capabilities! Stay tuned for more updates on the ceiling and library project. 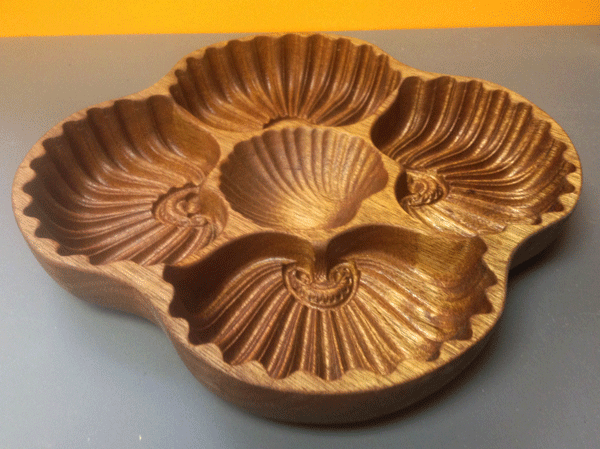 Another project that came to mind with the Holidays approaching was some sort of serving dish carved out of solid wood. 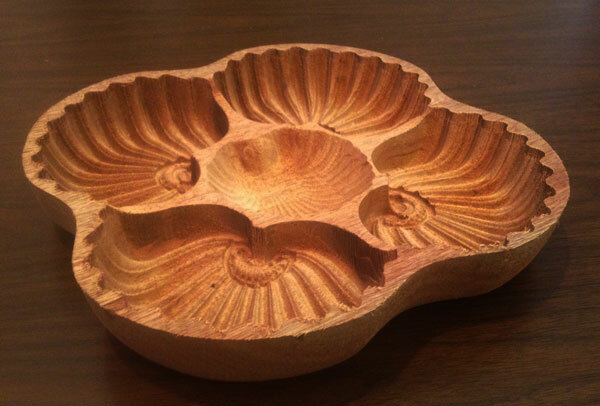 After playing around with a few designs, we settled on a very decorative 2 sided shell bowl. We had some thick rough cut mahogany around that we planed and glued up to create a 2″ thick slab to carve this into. We also created a carrier jig for it for two reasons. Not to waste any of this nice mahogany, and to make our two sided carve easier to track accurately after the flip. NOTE: This project being so deep and in denser wood, required us to run it on quality BEST to slow the speeds enough not to overload the drives. 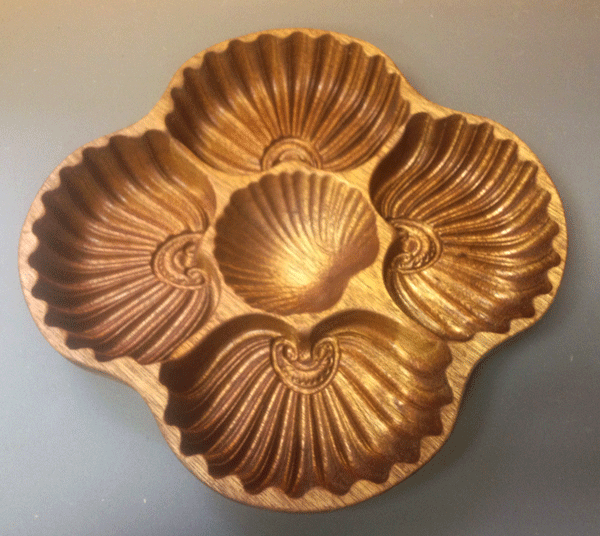 The first side of this project took about 6 hours with the 1/16″ long carving bit, but the slower speed and the nice deep end results were worth it. The first side carved beautifully, time to flip and carve the back. Once completed we cut the tabs and we had our bowl. Now its time do some sanding and finishing. This piece was sanded first with a 220 grit double sanding mop with all the spacers in to make it less aggressive, then we used our dremel tools to get into the details. Then we started applying teak oil, and continued sanding and polishing between applications. 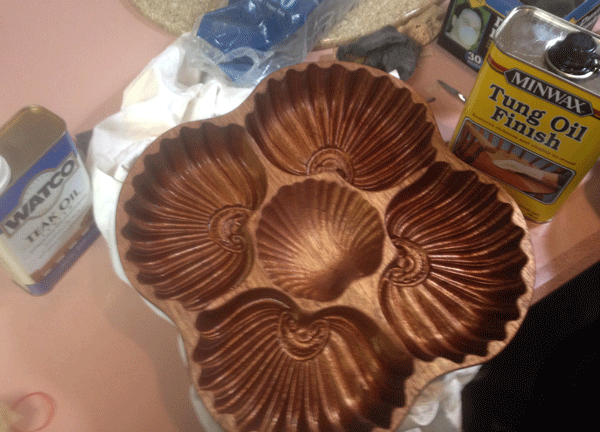 Then coats of tung oil were applied to seal it and it was further polished to have a nice glossy sheen. Now all that’s left is to fill it with something! Another thing I’ve been looking at a lot lately is a site called thingiverse.com. 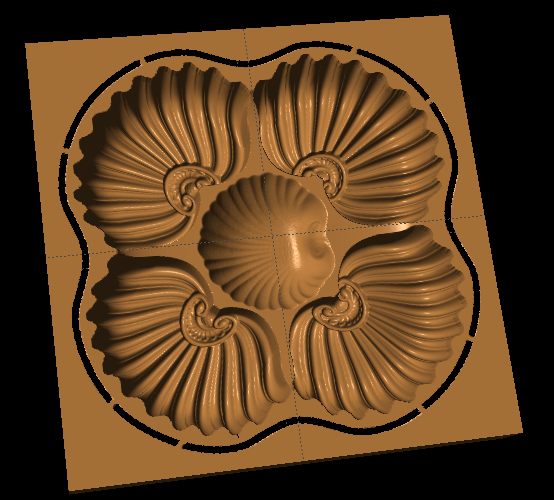 This site features an ever growing library of FREE STL files for use with 3D printers and the like. You have to dig a little, but I have found several fun STL files. One of these was this Zombie Hunter character. 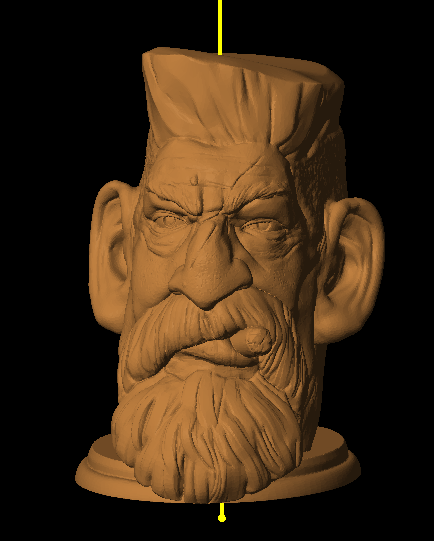 Several people had posted their tiny, little, low res plastic prints of this guy on the thingiverse site, so I thought this would be a fun project to do, but make him big! 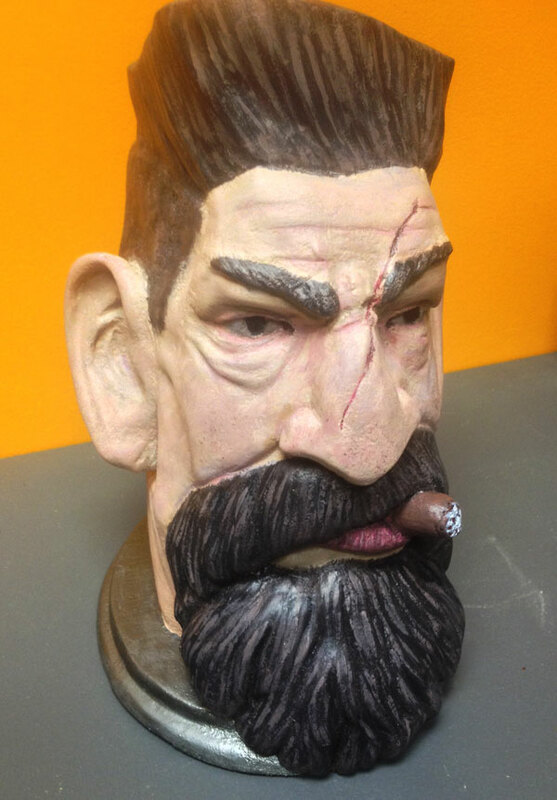 So, I went to my STL importer, scaled him to be about 10″ tall, and sliced him up into 1.5″ slices. 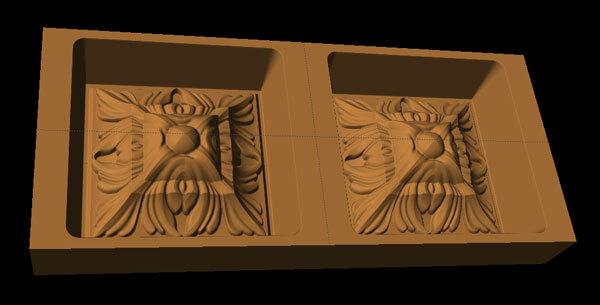 Those of you who have done this type of slicing know what I just said is a huge step forward in making large 3D projects. Being limited to 3/4″ slices has made doing larger pieces difficult due to the amount of slices needed. Now, with the ability to pierce 2″ thick boards, our slices can get really big! After slicing, I laid him out on a project board and went to the shop to prepare some material. I decided to carve him into MDF for its uniformity and usability. 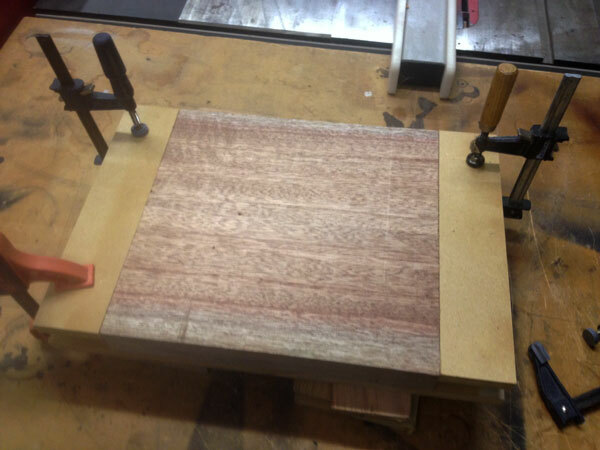 I glued up two pieces of 3/4″ material to make a 1.5″ thick board and carved it out. One thing about doing deep carvings is they do take longer. 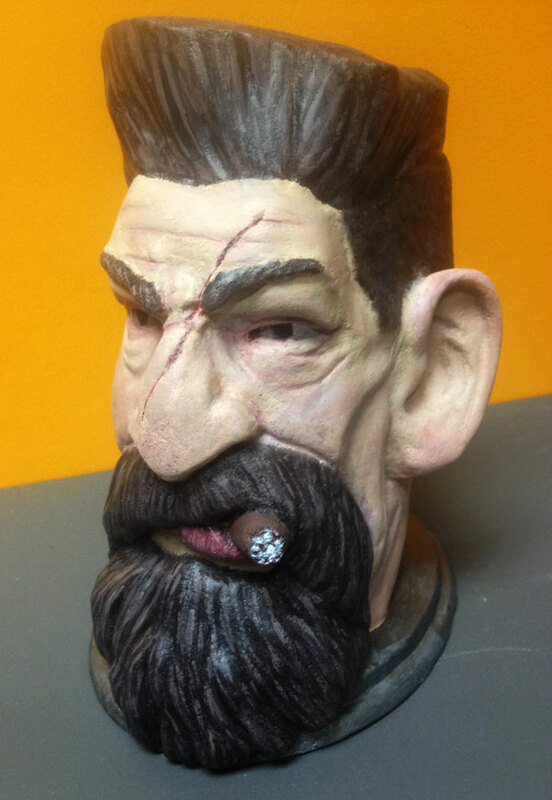 This carve took 10 hours. 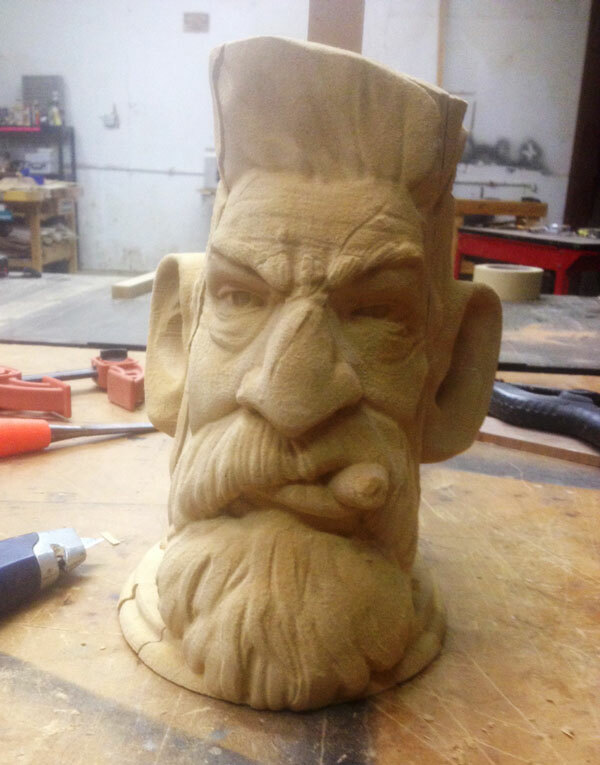 Other than being packed full of sawdust, he carved flawlessly. Now to separate and glue him together. I’ve still got some filling, sanding and painting to do on him, but he looks awesome! Wood fillers and a dremel tools were used to make the seams disappear and to carve in the undercuts that the machine couldn’t reach. Then he was coated with several layers of spray shellac to seal the mdf and make him easier to sand. The sanding was minimal, since I didn’t want to loose details. Next step was to prime him with a white spray primer to prep him for painting. 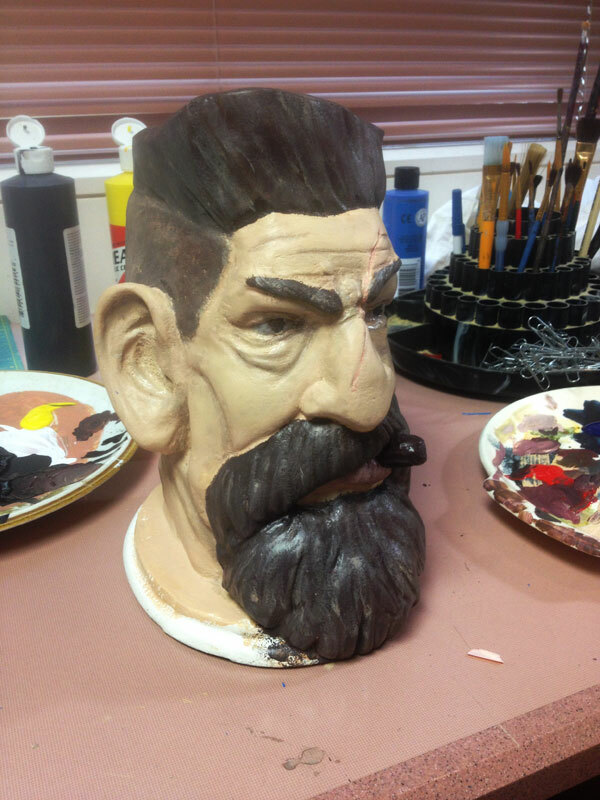 I used acrylic paints and started with an undercoat of skin tone, then I gave him dark hair and beard. From there I started adding in the details. After several hours and many mistakes, I was finally ready to call him done. 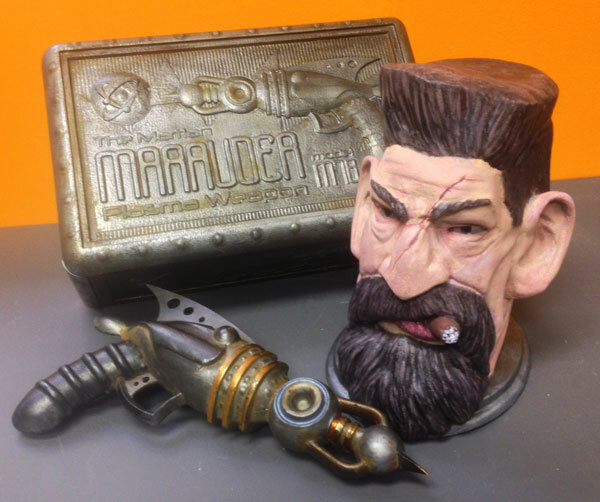 I think he goes well with the raygun I made a couple years ago. He looks like someone who would use that weapon. This entry was published on November 27, 2013 / Joe Lovchik. 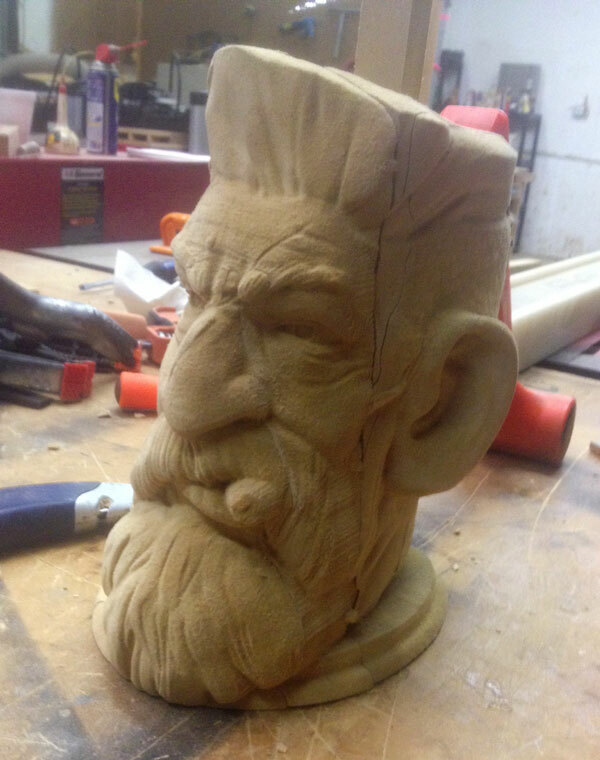 Posted in News, The CarveWright Build Blog. Bookmark the permalink. They come out very nice. I also carve praying hands into the sides. Thanks so much for your blog. It’s very inspiring! Thanks! I look forward to seeing your steampunked aquarium! The finished Zombie Hunter is great and it puts all those dinky plastic models over there at Thingiverse to shame! 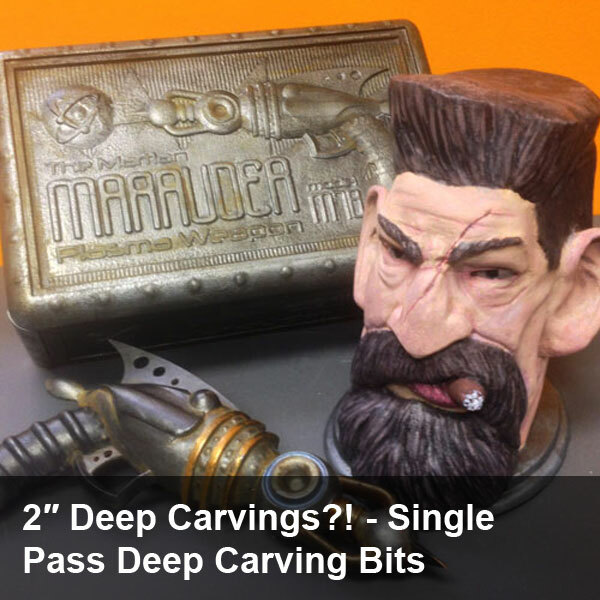 Thanks putting these new deep carve projects on the Build Blog- it sure gives me inspiration. I have the new 2 inch bit and I am working on a deep carve project for it. Thanks also for letting us know about Thingiverse. High quality patterns are now easy to come by- for free! I suggest everyone that is rusty on the STL Importer and Slicer go back and watch all of the Tutorials. I reviewed them again and I found out how to adjust the STL importer to make those 2 inch slices. However, I did have trouble with the Zombie Hunter file- the STL Importer won’t open it. I get an “Invalid or corrupt STL file” error message. Why is that? I have imported many other STLs – no problem! I would try downloading it again. ( http://www.thingiverse.com/download:230923 ) It may have been corrupted in the download process or something. We’ve been passing that file around the office here for awhile now and its always worked great. Another question, in saying the bits are too long.Can the collar for the carve tight be removed or even moved to accommodatethe rock chuck? No, the collars are hard pressed on and cannot be removed. Even if they were, however, the bits would still be too long for the Rock. It just sits really low. This page needs a quick check out for the purchase. I have hit the order and already have the 2.0it isn\’t yet on the regular order page. How to place order? Question though ,the bits. will they work in a Rock chuck also? Actually, I hadn’t even thought about it, but no they won’t. These bits are so long, we barely have enough clearance to do the bit find with the CarveTight. The Rock chuck is too long, you wouldn’t be able to do the bit find. It would run the bit into the slap plate, probably breaking off the tip. 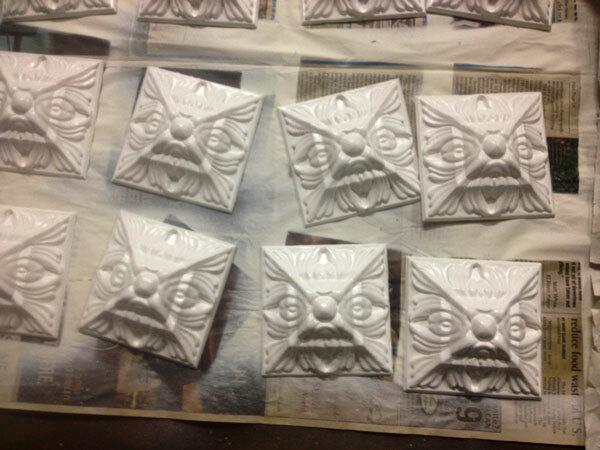 Great news about the bits and the carvings look fantastic. Will the projects be available for purchase from CarveWright? I will be making the projects available after the holidays. Right now, I’m ready for a break! I’ve got to go clean all this sawdust off of me. Happy Thanksgiving everyone! Great news, but – I am still on 1.187, will I be able to use the long bits? The long bits are only available through Designer 2, so no you won’t be able to use it unless you upgrade. This is great news, but – I am still on 1.187, will I be able to do this? Some cool stuff for sure. Great to see the ceiling coming together. Sure looks different from when I was there. New possibilities on the horizon for sure!